For industrial manufacturers, the online landscape is competitive and challenging. It’s also the first place potential customers are looking for your products and services. As such, it’s the first place you need to be found. 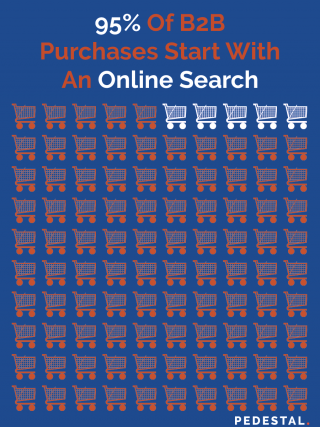 Nearly 95% of all b2b purchases start with an online search, with 77% of that action occurring on search engines. If you aren’t being found online, you’re being left out of the equation on the first leg of your customer’s journey. Success online means having success on search engines. There are two approaches to making your site profitable on search engines: SEO and PPC. Each is capable of delivering results on its own. But for a competitive field like industrial manufacturing, a combined approach is the best way to create lasting, and profitable results. 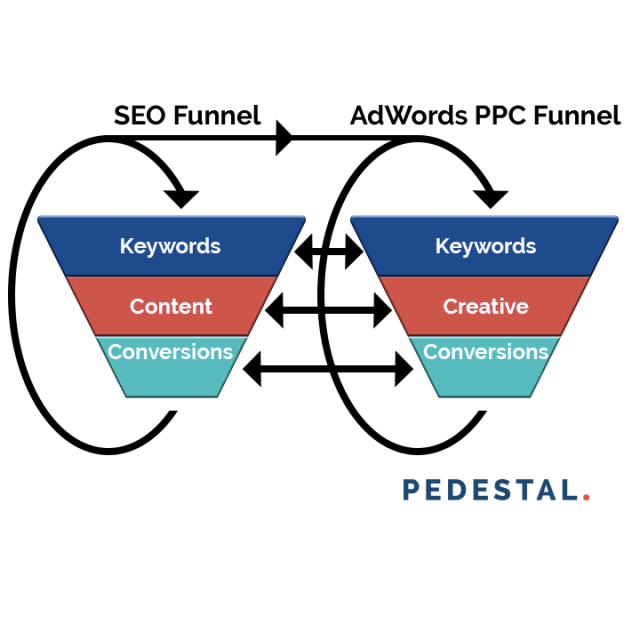 SEO and PPC work together to move customers through the conversion funnel – ie. your website. To kickstart digital marketing for your industrial manufacturing business, click here to book a marketing assessment. For more information, read on. PPC is Pay-Per-Click digital marketing. It produces targeted ads on search engines, like Google, that are directly relevant to a user’s search. In short, it delivers your ad to potential clients when they are looking for products like yours. Industrial Manufacturers can get near-immediate results with a PPC campaign. PPC ads can get top placements on search results right away. This helps manufacturers capture attention before their competitors can. This is the most important time to get attention because the searcher is actively seeking your product. Search ads contain creative that is tailored to your clientele and their current search. As a result, PPC ads create an immediate connection with potential customers. The ad acts as a bridge, taking customers from their search to a relevant page on your website. This may be an existing page on your site, or a landing page designed to drive more conversions on your site. Where PPC is paid ad placement, SEO is built on organic web efforts to improve visibility. SEO, or Search Engine Optimization, requires a bigger time and work investment. But it also can have a bigger payoff. Organic search results achieve higher conversion rates than paid ads. There is more trust built with the customer. Lead quality is also typically higher with SEO results. SEO performs better because it offers higher-quality content. However, this also means it takes more time to create and to leave a measurable impact. An SEO campaign generally takes at least 3 months to start showing results. But once these results start to take hold, they have a lasting impact. As the biggest driver of traffic to sites, professional SEO is crucial in garnering attention for your products and brand. Insightful, technical content builds a connection with your clients. Quality content that is continually tested and refined drives high-quality conversions online. The best industrial manufacturing marketing strategies combine SEO & PPC tactics. The two create feedback loops, each informing and improving their own strategies, as well as each others’. The result is continual improvement in ROI from both PPC & SEO over the course of the campaign. 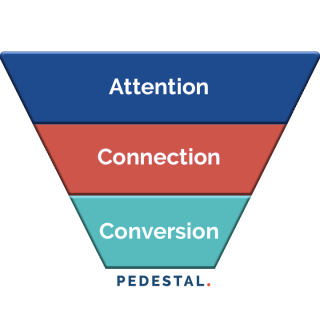 Pedestal leverages the right tools & technologies to craft content that answers the questions people are asking on Google. We determine the best way to get found by your customers, delve into how they engage, and see what factors influence conversions or drop off. By continually adapting to the results and testing new approaches, our programs continue to drive profitable growth. At each phase of consumer engagement, we get feedback from data. This enables us to map what content is effectively moving uses onto the next stage. And ultimately, resulting in conversions. In the keyword phase, we uncover which search terms and phrases are being used. Bidding and usage of keywords is adjusted according to which are driving more traffic and earning better search position. While existing keywords are being optimized we also research and test new short-tail and long-tail keywords. This ensures continued growth. The keywords chosen inform the content and creative used for the SEO and PPC programs. They will also reform your website’s content. The ads and content act as a bridge leading to conversions. They incorporate the most effective keywords and phrases to improve ranking, so your site and ads get found. At the same time, they keep the information relevant to the keyword and to the customer. Creating useful, relevant, keyword driven content results in better engagement. This engagement is beneficial in two ways. It creates a better customer experience that drives conversions. Better engagement improves your discoverability on search. As we measure engagement at this stage we can discover insights into more effective and profitable content. This allows for testing new creative geared towards more conversions. The conversion stage takes a big picture look at the actual conversions and how they were achieved. We track data from conversions, tracing back through the funnel to map the customer journey. This process identifies successes, opportunities, and aspects that need to be dropped or tweaked. The conversion stage may also include taking a look at the conversion submission method itself. Landing pages may be created or tested against to increase the conversion rates. Submission forms may be altered to filter for better qualified leads. The final stage is where it all comes together. We take all the information we have gathered and use it to inform strategy. It is then applied to all stages of our industrial manufacturing marketing plan. This is an ongoing process to continually improve the ROI and drive better conversions. Each vertical informs the others. So while SEO content and Google PPC ads, for example, run separate funnels, the information each gathers informs the other. Effective digital marketing for industrial manufacturing businesses relies heavily on experience. The opportunity is high because most potential customers begin their search online. The experience is needed because customers are savvy. The first look at your industrial manufacturing product may be conducted by engineers or other experts in the field. So it is important that the content is able to match their technical knowledge. It must also be tailored to answer their specific questions. Industrial manufacturing marketing experts make content that is relevant and useful to your customers. This paves the paths to more conversions. Start your journey to drive more high-quality leads with search marketing for industrial manufacturing. The Pedestal experts have proven success with SEO & PPC for industrial manufacturing.